The price of 1+1 corks varies according to the quality of the natural cork discs and they are generally classed as A, B and C quality and the main difference between them is aesthetic rather than mechanical. 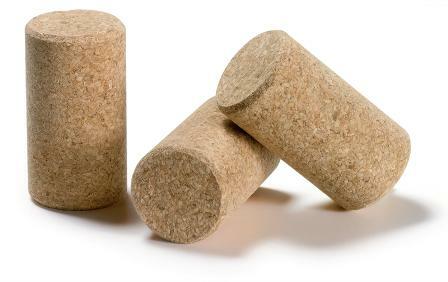 Over the last few days, there has been significant investment in the cork sector in compression moulding machines, which make corks using micro-agglomerated cork – this technique produces high levels of consistency in the corks in terms of dimensions and strength, but unfortunately does not have the aesthetic appeal of natural cork and it does contain some synthetic elements rather than 100% organic natural cork. These compression moulded corks are certainly an improvement on extruded agglomerated corks in terms of their mechanical characteristics, but they are a little more expensive. Below you can see a picture of micro-agglomerated corks, which we think are a bland alternative to the 1+1 corks above. So if you are thinking about what kind of corks would work best for your wine, then it if is a wine that you are really going to be proud of and age in the bottle, then 100% natural wine corks have to be the only choice; if you need to be more cost-conscious in your choice of cork, but still want your customers to enjoy the attractions of natural cork, then 1+1 corks might be the answer for you. 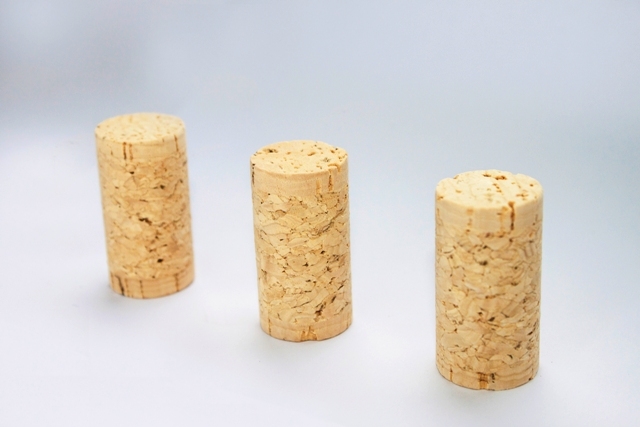 For undifferentiated, low-cost and functional corks, then micro-agglomerated could be a suitable choice.